Blog "If You Want to Be Good, You Don't Have a lot of Choices"
Joe’s Perspective: Let’s face it. Nick Saban gets many of the best athletes to attend the University of Alabama. My guess is that many of these athletes have been told how great they are for most of their young lives. They might not have had to work hard to be the best player on their high school team. They were superstars. Then, they get to Alabama and quickly find themselves 3rd on the depth chart. Saban sees this happen over and over again. These athletes come to understand that there are few choices to becoming great. Often athletes are left with two choices. They can either take the easy, more fun route or they can get in the gym and get better. People who take the easy route find later that sleeping in or hanging out with friends isn’t worth it, because they will end up not playing. You either have the choice of taking the lazy route and only grind when you want to or you you can get better everyday by putting in the extra work when nobody is watching and also working even harder on the days you don’t feel like doing anything. I do agree with nick that our generation isn’t told no a lot. And they are left with eaither working hard by yourself and improving or taking the easy way out and having more fun by doing nothing. Working hard with get you were you want to be. I understand where he is coming from because many millennials are told that they’re perfect and given participation ribbons and told they have already become the best even when they haven’t. However I think our generation is still told what to do and disciplined – specifically in sports. I think that when younger kids are told that they are already perfect, they lose the motivation to get better and improve, thinking that they have already achieved everything there is to achieve. It’s hard to find the fine line between being encouraging and giving tough love. I agree completely. I think you can either work hard or not word at all. Working hard will get you the results you want if you put enough into it. Nick Saban is exactly right because people around school and in public in my generation think they can do what ever they want. Nick is right. The people our age and around our age are making bad choices all the time such as partying and having more fun but hard work and the success from the hard work you put in is better than anything else at the time. I agree. People spend time making bad descisions and don’t realize how it affects their future and goals. This generation is often told nothing. Which can result in them doing whatever, whenever. 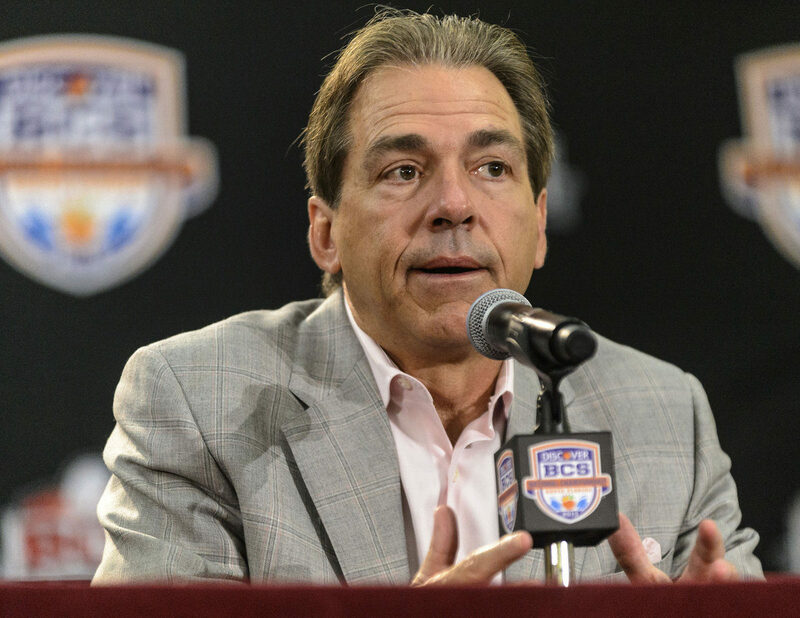 Nick is a wise man and even though he gets talented young men to continuously join Alabama he often suggests that if you want to become ever greater than you are now than you have to adjust and change to become successful. I agree with that statement just because teens growing up nowadays have their own self advocacy in which they decide if they want to put 100% effort into their work or not, and we do not think of how it will help with a better outcome. I agree that some kids are told they are already great and maybe need a little more morivation. I think some coaches and parents do change that by motivating their kids and telling them what to strive for. I agree with nick completely. In general, our generation is not often told no. If you want to accomplish your goals, it’s not going to be all fun and games, and hard work is required. Sometimes you may not want to do the hard work, but you have to do whatever it takes to be successful. I kind of agree because in daily life, there are a lot of kids who just get their way, and aren’t told no, but in sports, it’s either yes, you did it well, or no, you need to keep working until you get it right. I agree. I think many people of our generation assume something is really easy and then underestimate their abilities when they realize that it is difficult. If they received the right instruction and motivation, such as role models instilling a strong work ethic in the kids, then we would have a more determined and hardworking generation. In some ways I agree because in school and at home some kids only hear yes but I think in sports we’re use to not just winging things without someone else’s opinion. i agree that people are getting less and less motivated into doing what will make them the best overall and that we all need to get that trait back. I think this is true because kids this age do what they want and play around instead of work to get better.